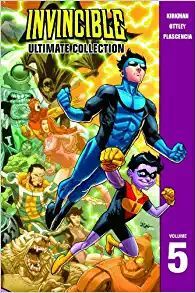 This massive hardcover collects the first 13 issues of Robert Kirkman’s Eisner-Nominated super-hero, along with all the extras from the first three trade paperback volumes and even more on top of that! 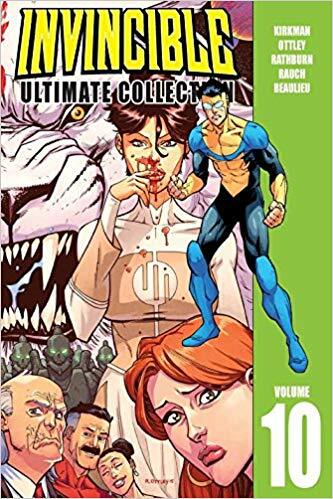 Invincible: The Ultimate Collection, Volume 1 is a can’t-miss for anyone who’s wanted to start reading Invincible, but needed an easier way to start from the beginning. 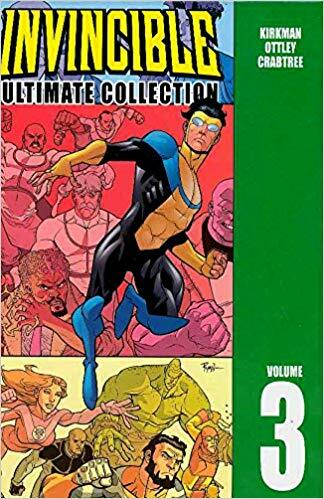 I had the first 7 hardcovers before I gave up on comic books and when i came back to the industry as a fan, they called out to me to complete them, nay they taunted me with their uncompleted status. 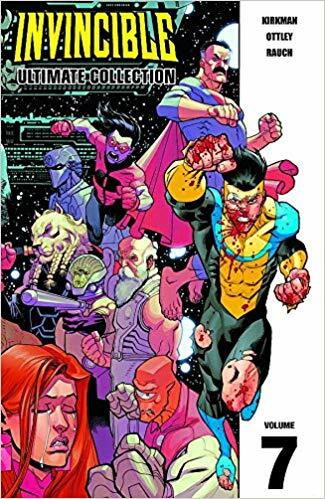 So I bought the other four volumes and found that Robert Kirkman was still killing it with Invincible, but lost his damn mind and wanted to cancel it. Did he get bored? Did he write himself into a corner? 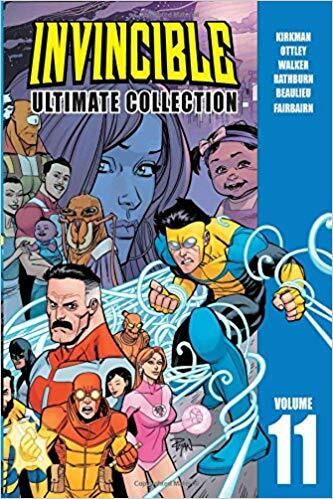 Did he not have time to pen this series while counting all his massive stacks of cash? 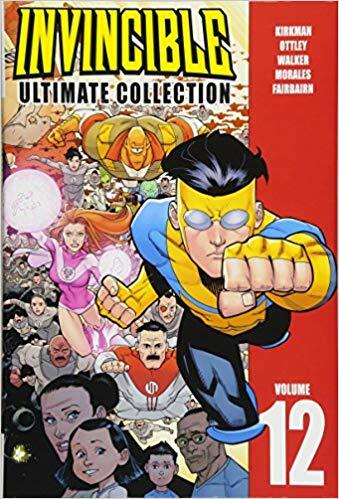 Who knows, but I’m happy I had over 144 issues of the series to read with all the supplemental content in the back of these books. 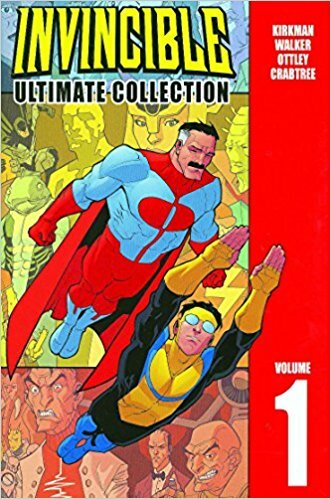 They’re among the best superhero stories you can possibly read and I can’t recommend them enough. Because of how high I was feeling after finishing that last giant hardcover book, I rushed across my room (four feet!) 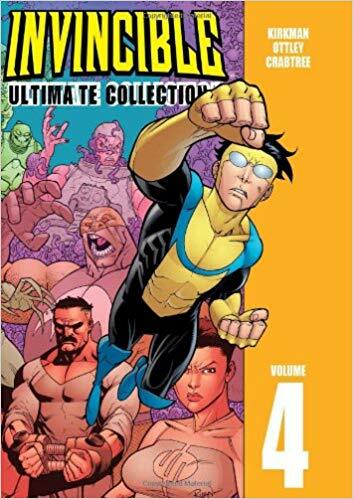 to order some trades of “Invincible Universe“, a side story that ran for 12 issues in it’s own series. It was not of the same quality of the main series, neither in story nor in art. 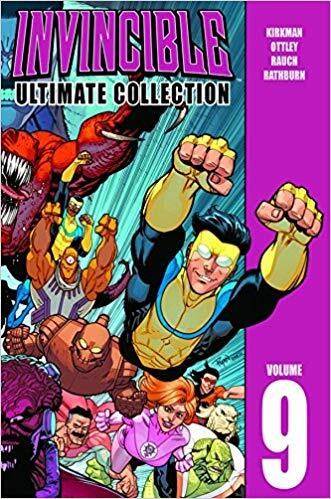 This isn’t to say it was terrible, just not as amazing as the mainline books. I have Science Dog and Guarding the Globe on backorder, so we’ll see how those are when they get in. 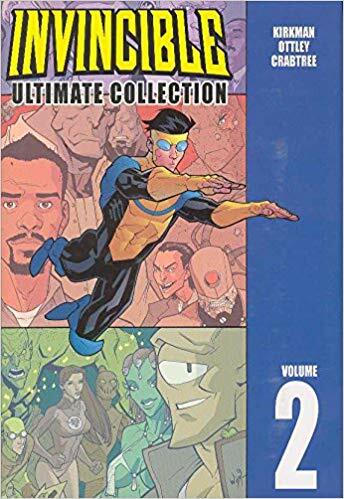 I think there’s a couple other series (The Brit? Tech Jacket?) 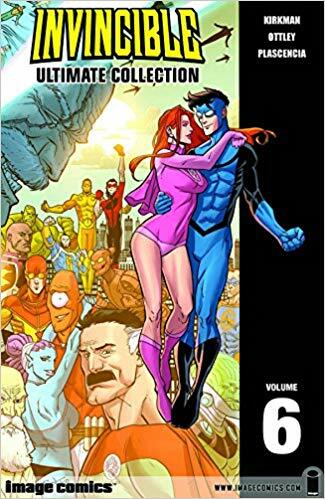 in the invincible comic universe, but I’m not too excited about them just yet.